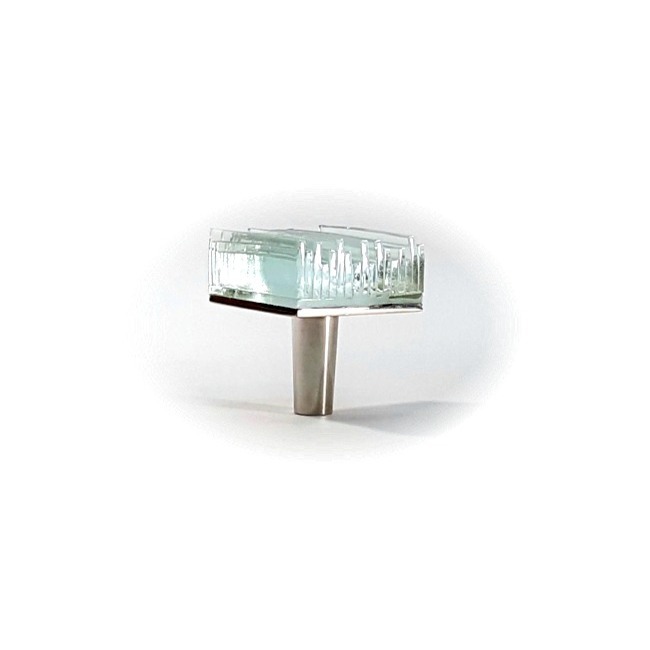 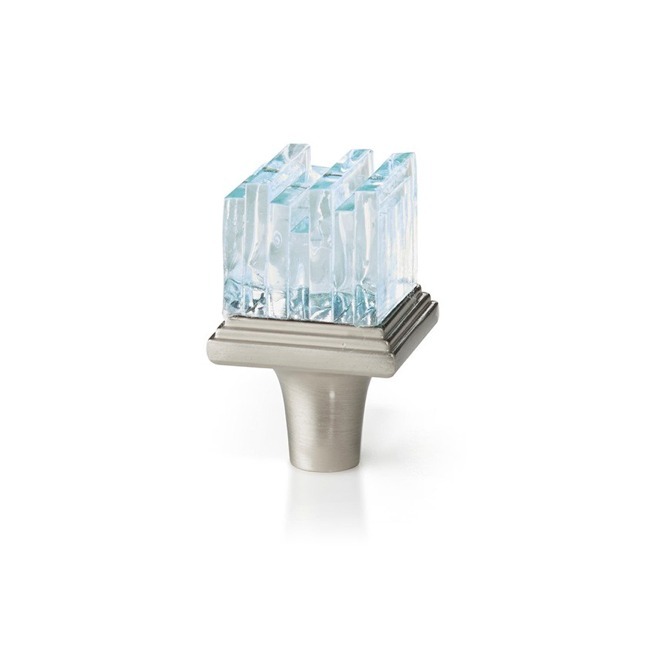 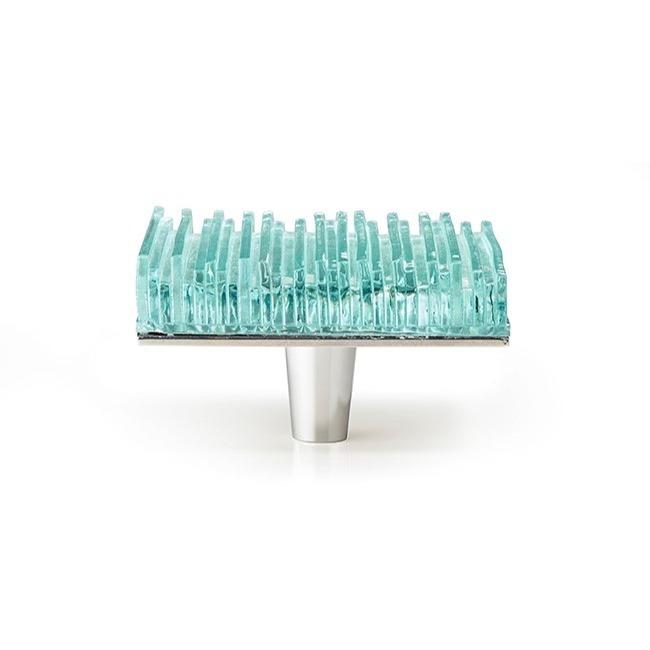 Original cabinet hardware Hand made in the USA stunningly design crystallized clear ribbed glass are a contemporary style and sleek look for your cabinet designs. 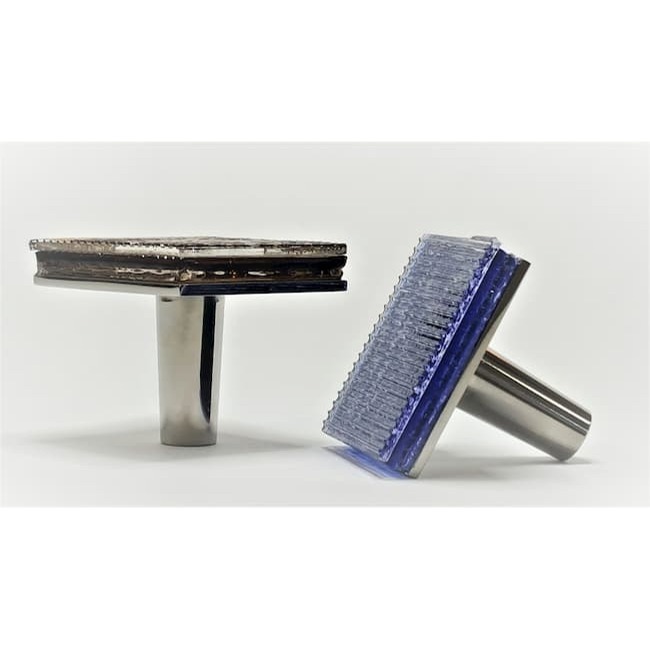 Riffs Squares come in ten beautiful colors on hand polished solid stainless steel in mirrored nickel and satin nickel fused together to make an elegant and durable cabinet hardware knobs and pulls. 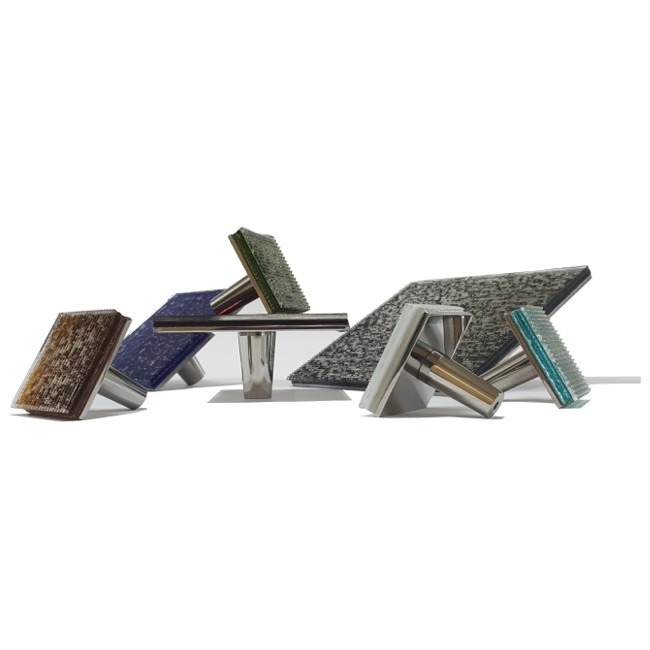 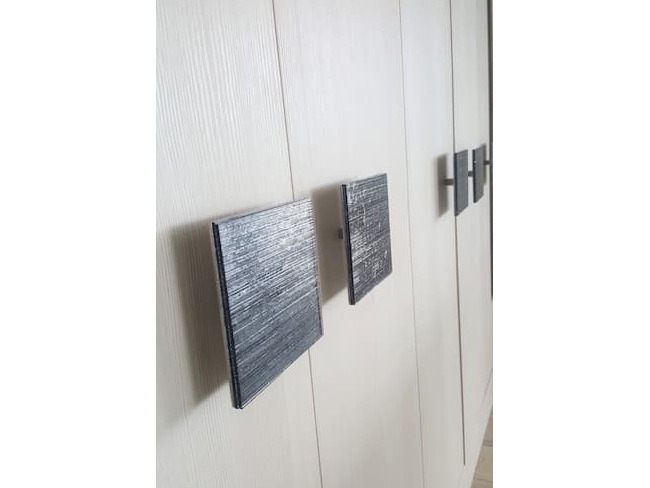 Our Jazz Squares equally stunning in design only come in crystal clear glass for that sparkling look of jewelry on your fine cabinetry and furniture pieces hand polished solid stainless steel in mirrored nickel and satin nickel finishes attractive addition to your cabinet details. 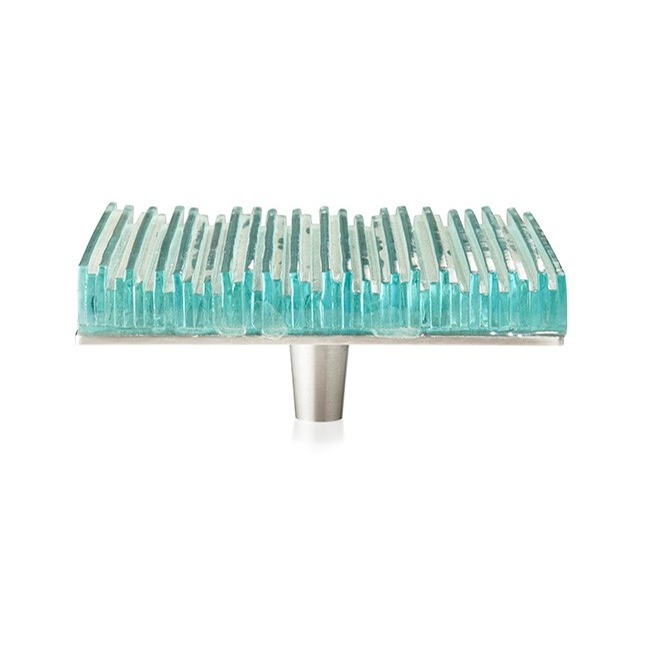 Small variations in the final piece may occur and are considered part of the beauty of the design.